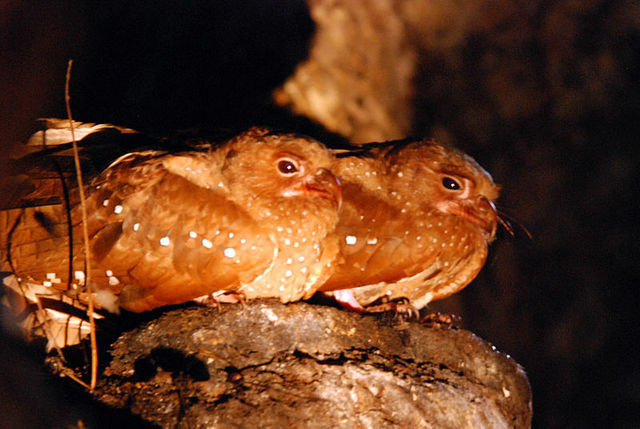 A nocturnal, fruit eating bird that navigates by echolocation (like bats). They are mainly reddish-brown with white spots on the nape and wings. Lower parts are cinnamon-buff spotted with white. The stiff tail feathers are a rich brown spotted with white on either side. In the past, the fat chicks were boiled down as a source of oil.